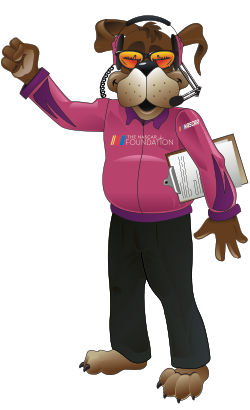 Financial information about The NASCAR Foundation can be obtained by contacting us at One Daytona Blvd. Daytona Beach, FL 32114 or 386-310-5740, or as stated below. Colorado: Colorado residents may obtain copies of registration and financial documents from the office of the Secretary of State, (303) 894-2680, http://www.sos.state.co.us/ re: Reg. No.20063001078. Florida: SC No.CH19666. A COPY OF THE OFFICIAL REGISTRATION AND FINANCIAL INFORMATION MAY BE OBTAINED FROM THE DIVISION OF CONSUMER SERVICES BY CALLING TOLL-FREE, WITHIN THE STATE, 1-800-HELP-FLA.
Georgia: The following information will be sent upon request: (A) A full and fair description of the programs and activities of The NASCAR Foundation and (B) A financial statement or summary which shall be consistent with the financial statement required to be filled with the Secretary of State pursuant to Code Section 43-17-5. Kansas: The annual financial report for The NASCAR Foundation, Kansas Registration no. [389-573-7] for the preceding year is on file with the Secretary of State. Michigan: MICS No. 35214, http://www.michigan.gov/documents/lic_chrty1_40579_7. pdf. Mississippi: The official registration and financial information of The NASCAR Foundation may be obtained from the Mississippi Secretary of State’s office by calling 1-888-236-6167. New Jersey: INFORMATION FILED WITH THE ATTORNEY GENERAL CONCERNING THIS CHARITABLE SOLICITATION AND THE PERCENTAGE OF CONTRIBUTIONS RECEIVED BY THE CHARITY DURING THE LAST REPORTING PERIOD THAT WERE DEDICATED TO THE CHARITABLE PURPOSE MAY BE OBTAINED FROM THE ATTORNEY GENERAL BY CALLING (973) 504-6215 AND IS AVAILABLE ON THE INTERNET AT www.njconsumeraffairs.gov/ocp.htm#charity. REGISTRATION WITH THE ATTORNEY GENERAL DOES NOT IMPLY ENDORSEMENT. 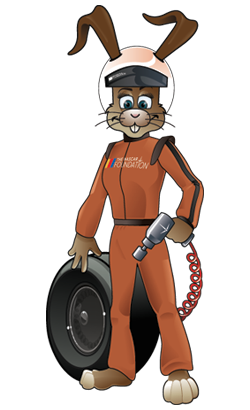 Pennsylvania: The official registration and financial information of The NASCAR Foundation may be obtained from the Pennsylvania Department of State by calling toll-free, within Pennsylvania, 1-800-732-0999. Virginia: Financial statements are available from the State Office of Consumer Affairs, P.O. Box 1163, Richmond, VA 23209; 1-804-786-1343. Washington: The notice of solicitation required by the Charitable Solicitation Act is on file with the Washington Secretary of State, and information relating to financial affairs of The NASCAR Foundation is available from the Secretary of State, and the toll-free number for Washington residents: 1-800-332-4483. West Virginia: West Virginia residents may obtain a summary of the registration and financial documents from the Secretary of State, State Capitol, Charleston, WV 25305. REGISTRATION IN THE ABOVE STATES DOES NOT IMPLY ENDORSEMENT, APPROVAL OR RECOMMENDATION OF The NASCAR Foundation BY THE STATE. All donations are final and no refunds will be issued.